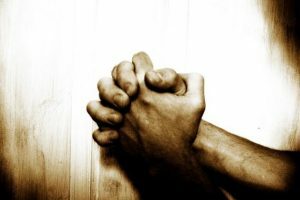 We extend our prayers and sympathy to Barbara Price and family on the death of her brother, John W. Campbell, of Cedar Falls, Iowa, on April 20. Join us this Wednesday for our fellowship supper and this week’s program, “Music Meets the Generation Gap,” an intergenerational exploration of music. Please make your dinner reservation with the church office by noon on Monday. May 9 – The children of Memorial present Part II of the musical play Rebekah. May 16 – The Gate City Horizons Jazz Band, a 20-piece big band, will perform. 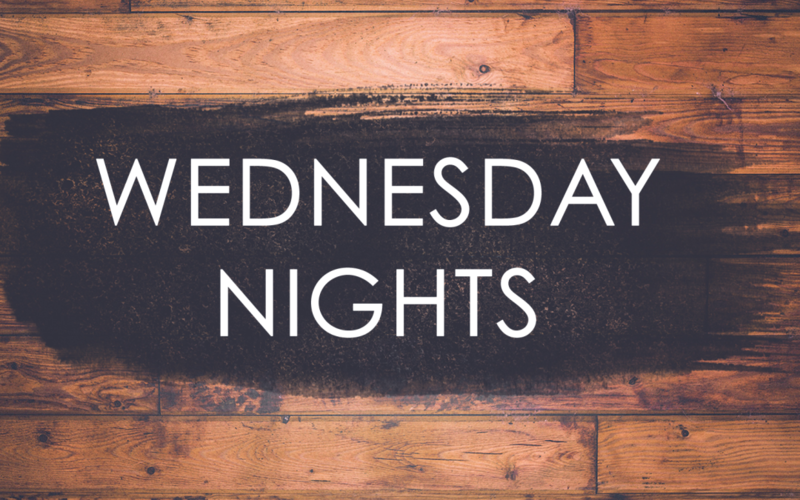 * Sign up to lead the dinner blessing on Wednesday nights! Look for the signup sheets around the church or contact the church office. 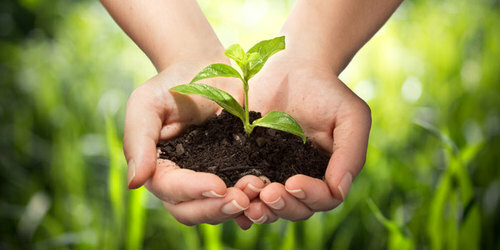 Project AGAPE is now accepting donations for its Spring collection drive. The notice time for this drive is very short; donations should be dropped off at church by Monday April 30 and will be collected Tuesday May 1. 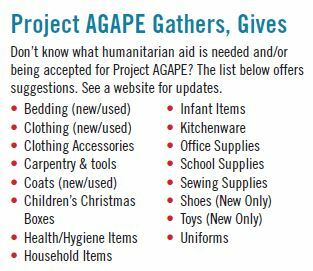 For a list of items being collected, and others to avoid, see the Project AGAPE brochure HERE. New and gently used clothing in all sizes is especially needed. 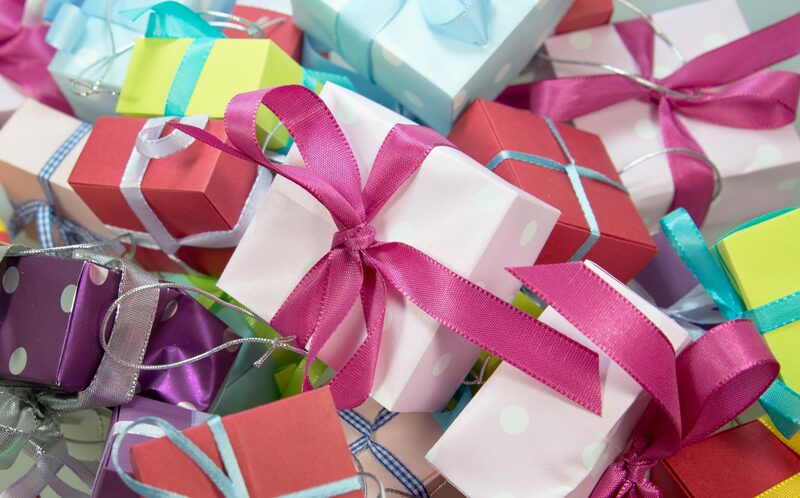 Mark your calendars now for the FALL Project AGAPE collection, Sept. 24-28, 2018, when pre-packed Christmas Boxes for the children will be a priority. If you would like to get an early start on these, CLICK HERE for the 2018 printable instructions and checklists. 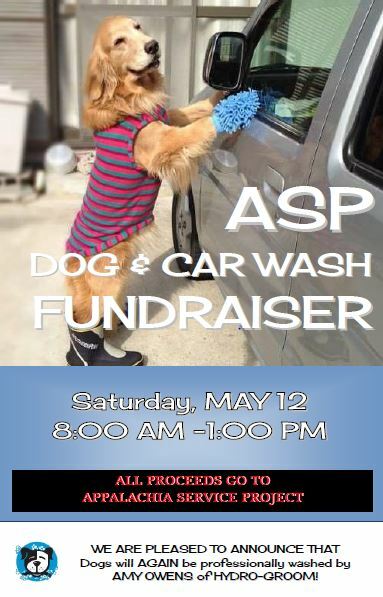 Spruce up your cars and dogs and support the Youth as they raise money for the Appalachia Service Project (ASP). We are pleased to announce that dogs will again be professionally washed by Amy Owens of Hydro-Groom! If you’re visiting Memorial and would like to know more about the congregation, plan to attend our next Welcome to Memorial class. The class is scheduled at 10:00 am in the Christian Enrichment Center (CEC) on four successive Sundays, from May 6 through May 27. 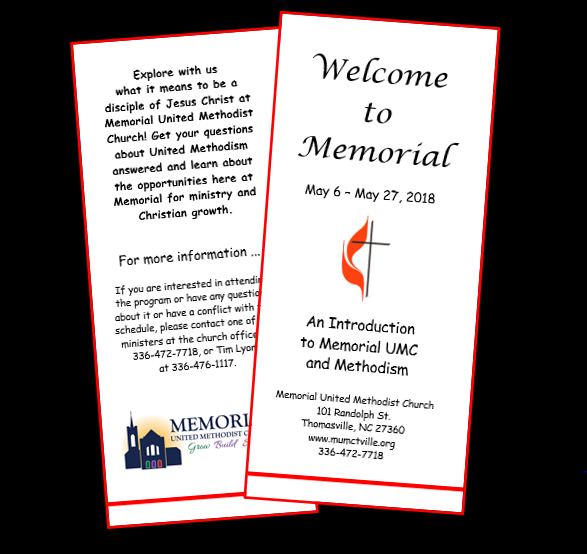 This is your opportunity to learn more about our wide range of ministries and our church governance, meet some of our key church leadership, and get answers to your questions about United Methodism and our basic beliefs. Pick up a brochure in the Narthex or in the foyer of Jarrett Hall for more detailed information. 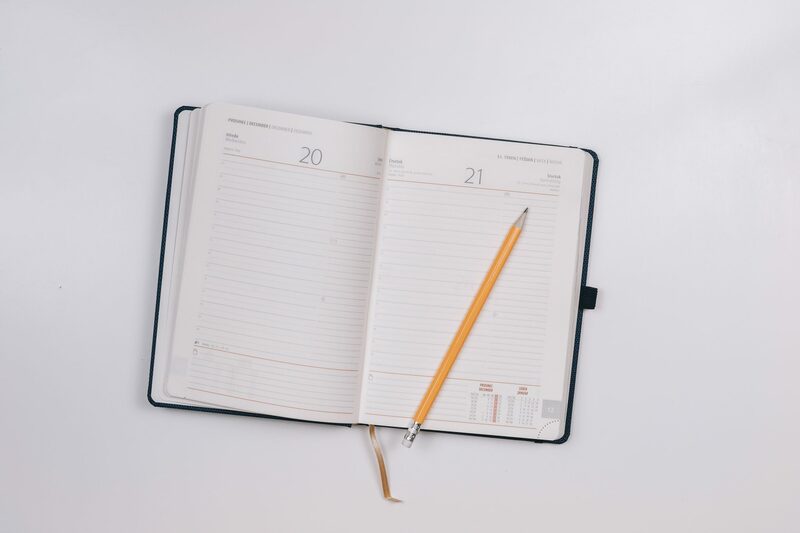 If you have particular questions or have a conflict with the class schedule but are interested in learning more, please talk to one of the ministers or call Tim Lyons at 336-476-1117. George Atkinson will be celebrating his 97th birthday on May 6th. If you would like to send him a note or card we know he checks his mail regularly and would appreciate it. He misses his Memorial Family. We meet at 5:45 PM on Tuesdays upstairs in the CEC in the High School/Jr. High Room at the top of the stairs. This is a beginner’s class, but generally all levels can be accommodated. 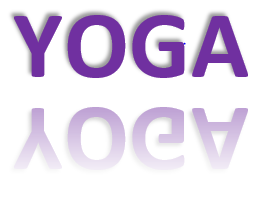 The style of yoga taught is Iyengar, so props are used (blocks, blankets, straps, bolsters, chairs) to make the poses more accessible. Emphasis is also on proper alignment to make the poses safe. We have a few extra mats but prefer that you bring your own. The class is canceled occasionally when there is a conflict on the church calendar. Please feel free to join in or to contact Brenda Lyons, the teacher, with questions. 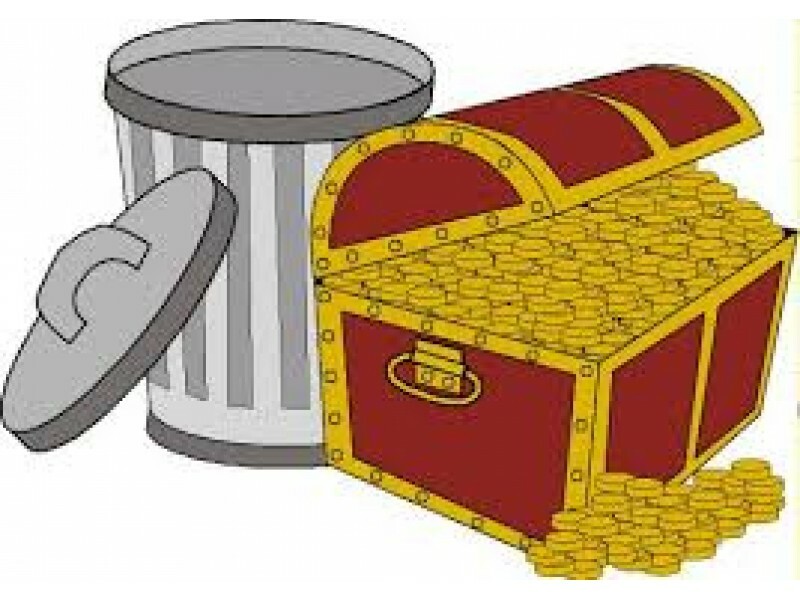 TRASH AND TREASURE IS COMING: START SAVING! Trash and Treasure Sale is August 25! Please start saving your “treasures” now. The sale will run 8 AM – 2 PM, and all proceeds go directly to the church budget. Household furniture, appliances, electronics, antiques and collectibles, tools and toys, children’s clothes, Christmas decorations, and more. Please contact Berta Riley with questions. Summer Literacy Camp Volunteers Needed. 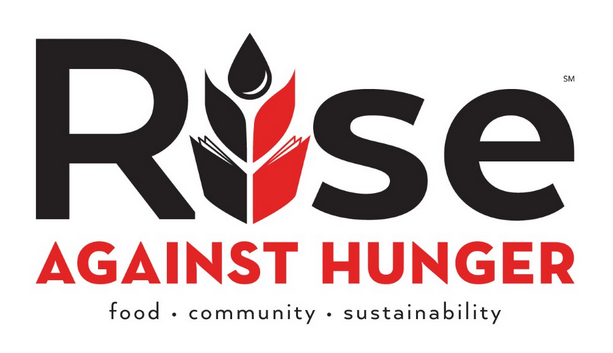 Fairview UMC will host the six-week Pilot Point Summer Literacy Camp for 36 rising first- through fourth-graders this summer. There are many ways to contribute to this initiative. Please contact Reverend Ed McKinney with questions, at emckinney@wnccumc.net. Pilot Point will give 36 students the unique opportunity to participate in an exciting faith-based summer reading camp. Seven excellent local teachers will instruct 3 classes in literacy. The camp will be held at Fairview UMC in Thomasville for six consecutive weeks from June 18 to July 27, 8:30 to 4:30pm. Pilot Point is open to students who have completed kindergarten through third grade in cooperation with schools in Davidson County. Pray without ceasing and then visit our volunteer fair to see how you can make a difference! But can you pray for those who are focused on seeing it succeed? But can you imagine living in a home where your parents can’t read? But can you donate your time? But can you offer a friendly, smiling face & encouragement? 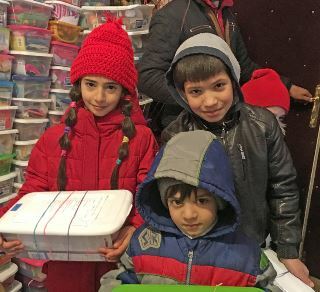 But can you donate food to be prepared by the hands of others? But can you help any with our Monday family nights? But can you help supervise a nature walk? 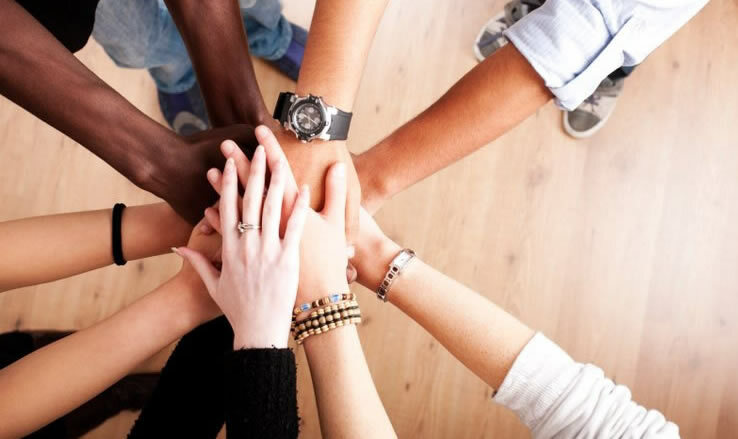 You don’t have to make your subject & verb agree to serve. Pilot Point Summer Literacy Camp is made possible through a grant from The Duke Endowment, the Yadkin Valley Congregational Vitality Team, and gifts from faithful United Methodists. JUL. 28 UMW SUMMER BRUNCH CELEB. CHAPEL HOURS | The Chapel is open each Monday through Thursday (8 AM – 4 PM) for prayer and meditation. The Memorial congregation welcomes the community to this sacred space. COMMUNION | Memorial United Methodist Church offers Holy Communion on the first Sunday of each month. When not offered in the 8:50 AM or 11:00 AM worship service, it is offered at 10:00 AM in the prayer chapel. We celebrate an open table. * Save the date. Registration will be closer to the date.